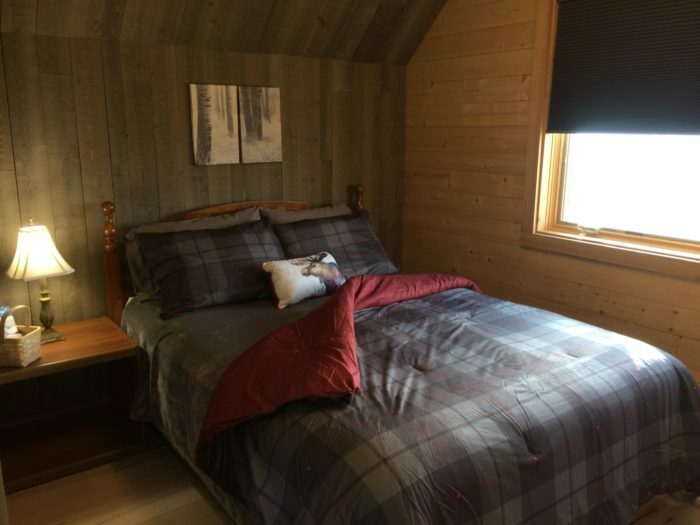 The Log Home has a long history with the oldest log home said to date from the year 30 BC. Here are a brief history and some interesting facts. 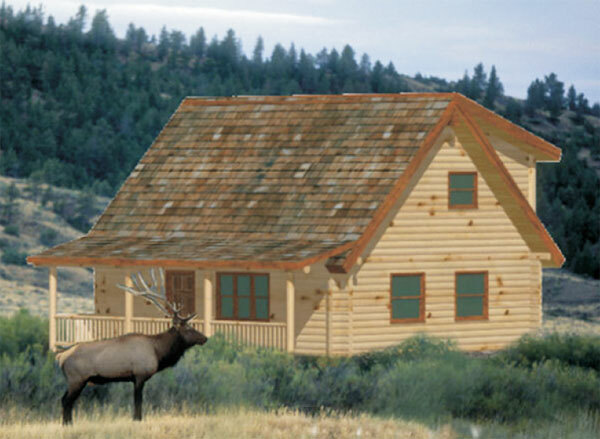 Historically, log cabin construction has its roots in Scandinavia and Eastern Europe. Although their origin is uncertain, the first log structures were probably being built in Northern Europe in the Bronze Age (about 3500 BC). 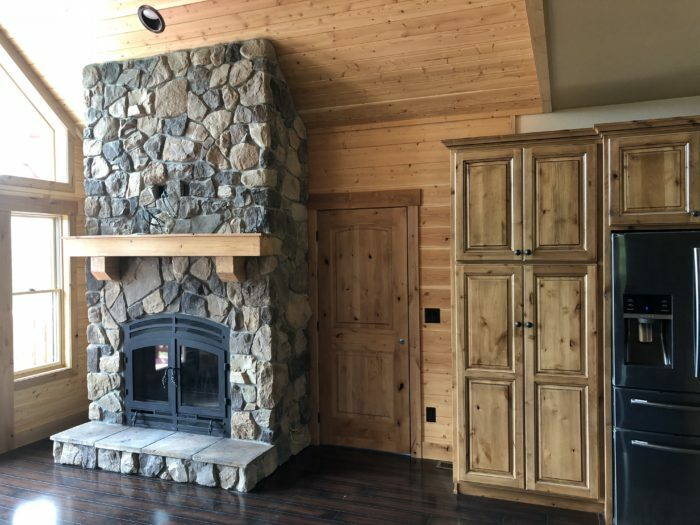 The European log construction has undergone an evolutionary process from the crude small gable roof cabin of round logs with an opening in the roof to vent the smoke, to the more sophisticated squared logs with interlocking double notch joints with the timber extending out beyond the corners. Log saunas or bathhouses of this type are still to be found in rural Finland. By stacking tree trunks one on top of another and overlapping the logs at the corners, people made the ‘Log Cabin’. They developed interlocking corners by notching the logs at the ends, resulting in strong structures that were easier to make weather-tight by inserting moss or other soft material into the joints. As the original coniferous forest extended over the coldest pasts of the world, there was a prime need to keep these cabins warm. The insulated properties of solid wood were a great advantage over a timber frame construction that was covered with animal skin, boards or shingles. Over the decades, increasingly complex joints were developed to ensure more weather tight joints between the logs but the profiles were still largely based on the round log. Log construction was especially suited to Scandinavia, where straight tall tree trunks (Pine and Spruce) are readily available. 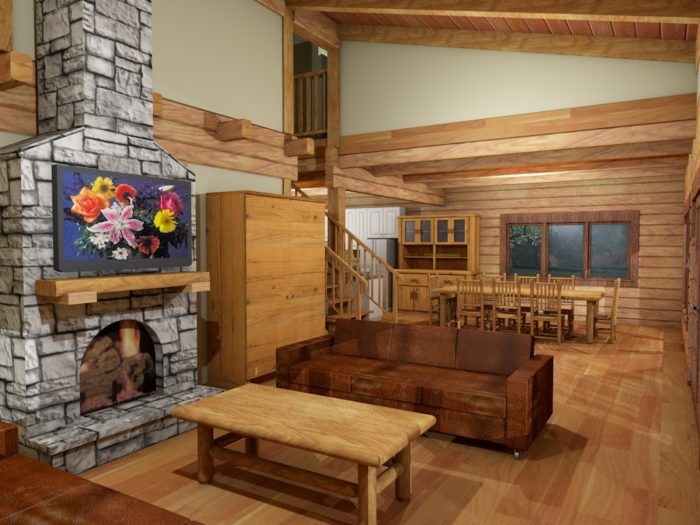 With suitable tools, a log cabin could be erected from scratch by the family in a few days. 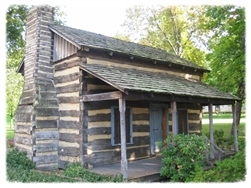 As no chemical reaction was involved, such as hardening of mortar, a log cabin could be erected in any weather or season. 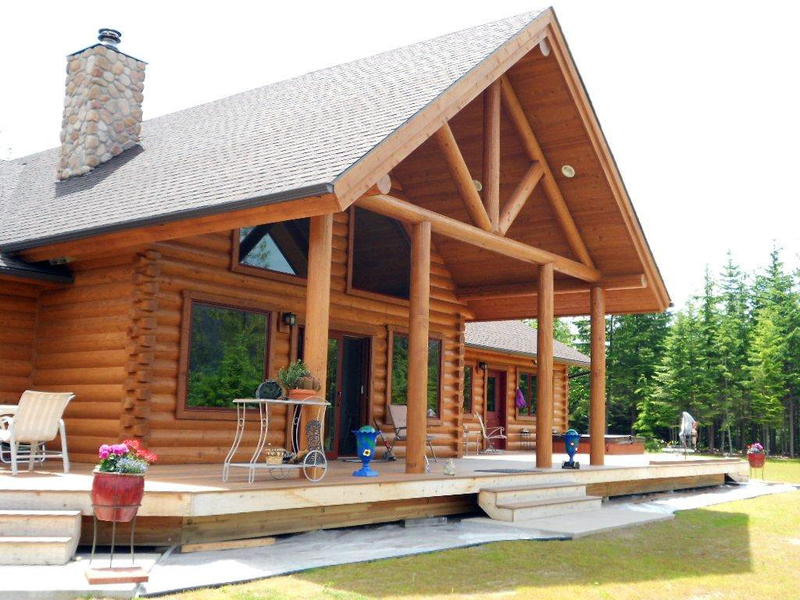 The earliest recorded North American log home was built by the Swedes who settled in Pennsylvania in 1638. 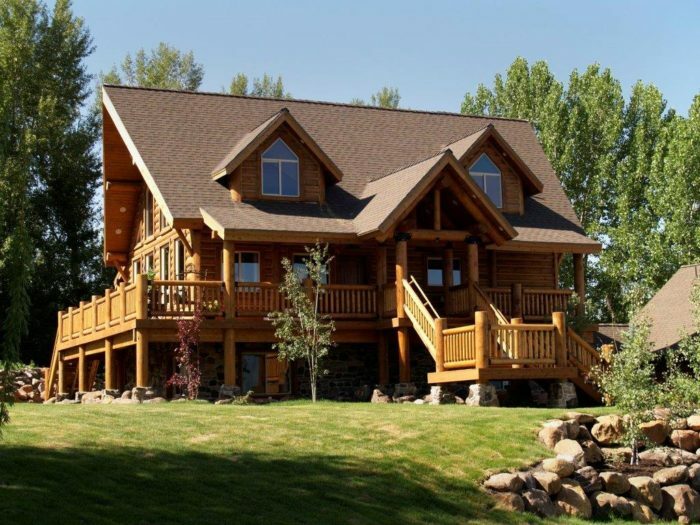 Subsequently, log home building techniques were improved by German settlers. As the West was settled, log homes were erected all over as symbols of the frontier spirit. Along with the refugees produced by the War of Independence, the log home spread to Canada and there, the abundance of building materials and severe cold made them spread quickly to become scattered all over wooded areas. Along with the industrialization of society in the 19th century, logs were, to a large extent, replaced by building materials which could be massed produced in sawmills, and towns took on a different appearance. 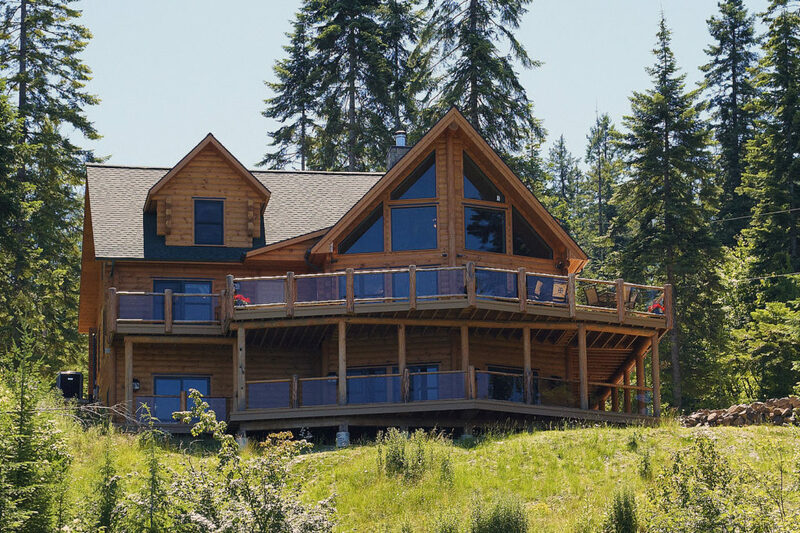 However, log homes remain strongly associated with the North American identity and now they are undergoing a kind of revival in the form of country residences and mountain cabins. 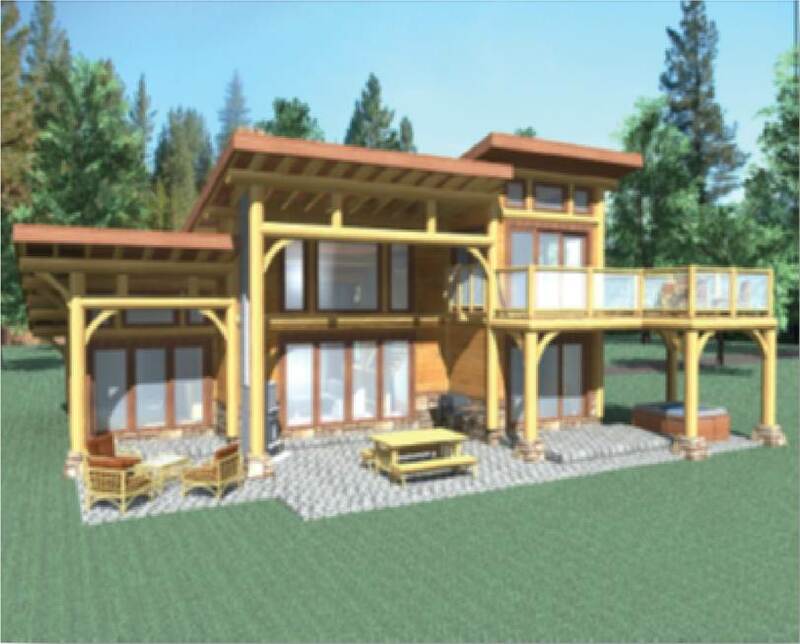 Today, construction of modern log cabins and leisure homes is a fully developed industry. Thinking of retirement? 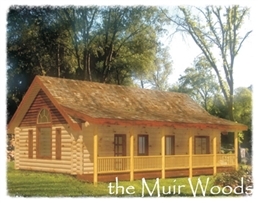 The Muir Woods offers one level living with all the comforts of home packed in to 1008 sq. ft.